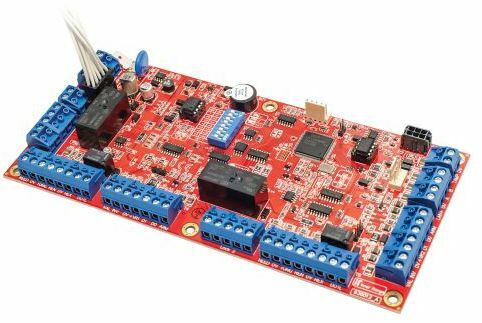 The Integriti Intelligent LAN Access Module (ILAM) offers a complete suite of programmable options to provide advanced high security access control, security area control and door alarm monitoring functions. The ILAM also provides offline intelligence for the connected doors ensuring access control operation is maintained at all times - even if the master controller was to go offline. The ILAM is used to interface the card Readers and control/monitor up to 8 standard wired Doors or 8 Wireless Salto Sallis Readers & Doors or 8 Readers in Lift Cars. It is connected via the Integriti system RS-485 LAN, or via IP LAN if connected with CLOE modules. The ILAM base module supports two standard wired doors/two readers and is expandable up to eight doors/eight readers with the simple addition of door & reader expansion devices connected via Integriti's unique UniBus in-cabinet expansion interface. Offline intelligence is also provided via the ILAM's on board database to provide access control functionality and event logging even if communications to the master controller is severed. Upon re-connection, all buffered events and any programming changes are automatically synchronised with the master controller. The ILAM is also used for integration with Salto Sallis wireless door systems. In this mode up to 8 Salto Sallis doors can be managed by the ILAM module via a single connection to the Salto Sallis system. Access permissions and alarm events from the Salto Sallis doors are monitored and administered directly from the Integriti System Software. The Sallis system provides off-line caching for access continuity should its connection to the Integriti system controller be compromised. The ILAM is also used for integration with Assa Abloy Aperio wireless door systems. In this mode up to 8 wireless doors can be managed by the ILAM module via a single connection to the wireless door system via RS485 to an Assa Abloy AS-AH30-3-0 Hub. 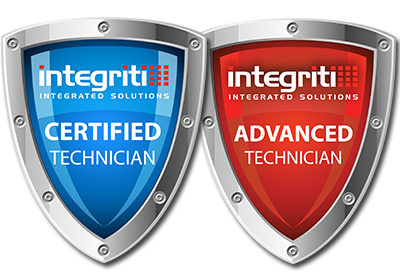 Access permissions and alarm events from these doors are monitored and administered directly from the Integriti System Software. The wireless door systems provide off-line caching for access continuity should its connection to the Integriti system controller be compromised. 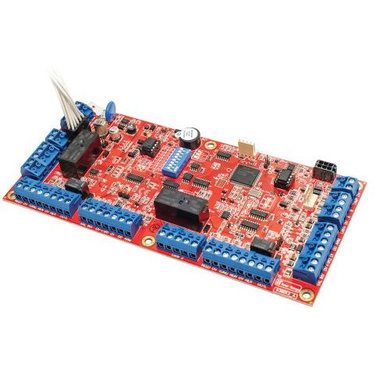 Each of the 8 Doors available on the Integriti ILAM module can be configured independently allowing for a mixture of both standard wired and wireless Salto Sallis doors to be connected to the module simultaneously. The power supply requirement is 11 to 14VDC and a range of Integriti enclosures with SMART 2Amp, 3Amp or 8Amp switchmode power supplies are available. Integriti external power supplies are fully monitored via the Intelligent LAN Access Module.